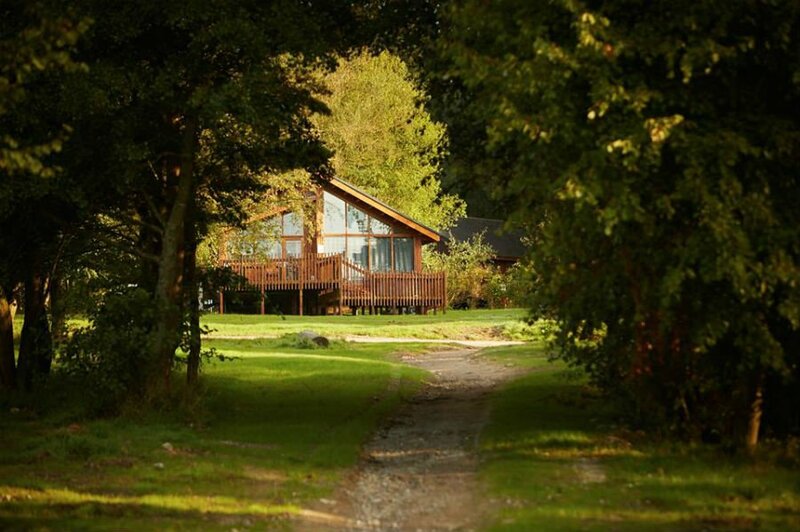 Forest Holidays have luxury log cabins at 10 locations across the UK. 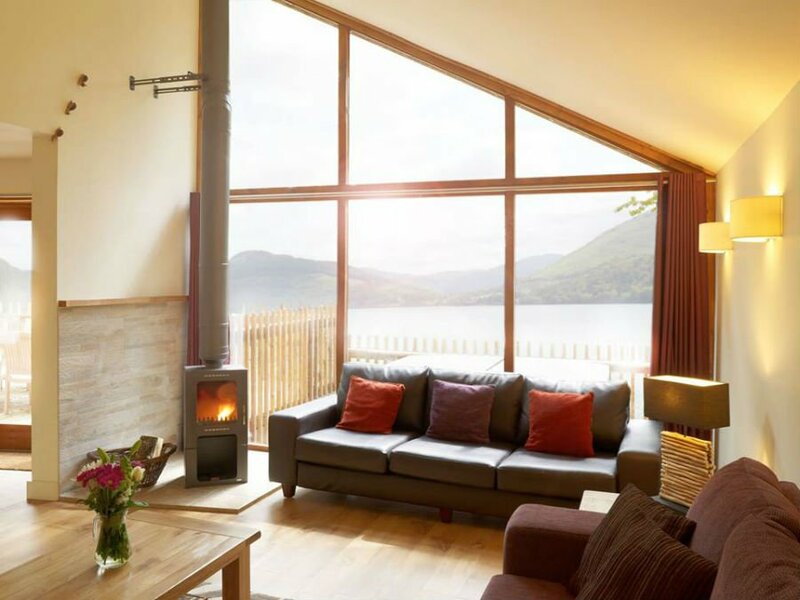 All of the log cabins are located in idyllic locations such as in the middle of magnificent forests, next to Scottish lochs or within easy access of beaches for days out at the seaside. A Forest Holiday offers the perfect balance of total relaxation and tranquility, with the option of a bit of adventure if you wish. 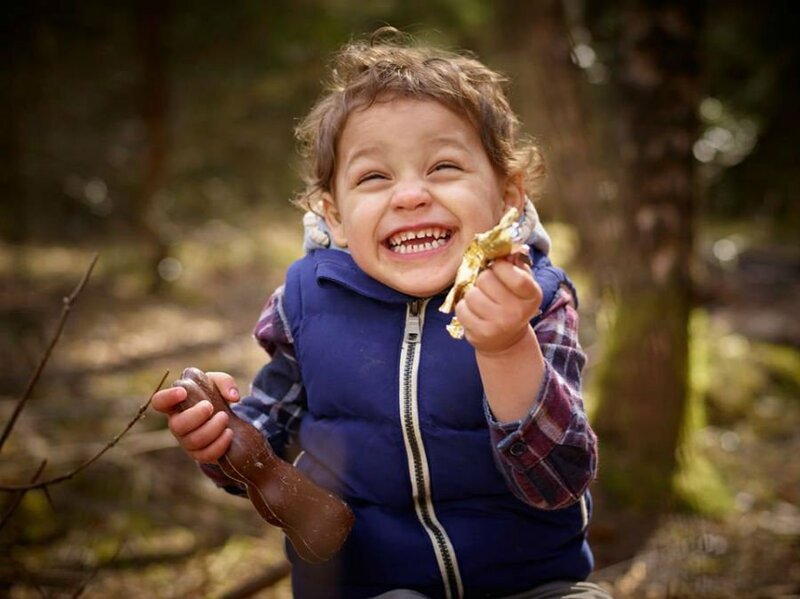 Read on to discover why a Forest Holiday is a great choice for a UK break with a toddler, and also for details of an exclusive discount code offering you a saving on your booking. With no stressful flights or restrictive bag allowances, you can take everything you need on your Forest Holiday, and arrive relaxed and refreshed ready to get the holiday off to a great start. With Forest Holidays in Scotland, North Yorkshire, Nottinghamshire, Norfolk, Hampshire, Cornwall, Gloucestershire and Wales (new for 2018), you don’t have to travel far for a short break in the forest. There are 3 types of woodland cabins for families at Forest Holidays. The Golden Oak Cabins sleep from 2- 8 people and offer the ultimate luxury as well as the best location in the forest. 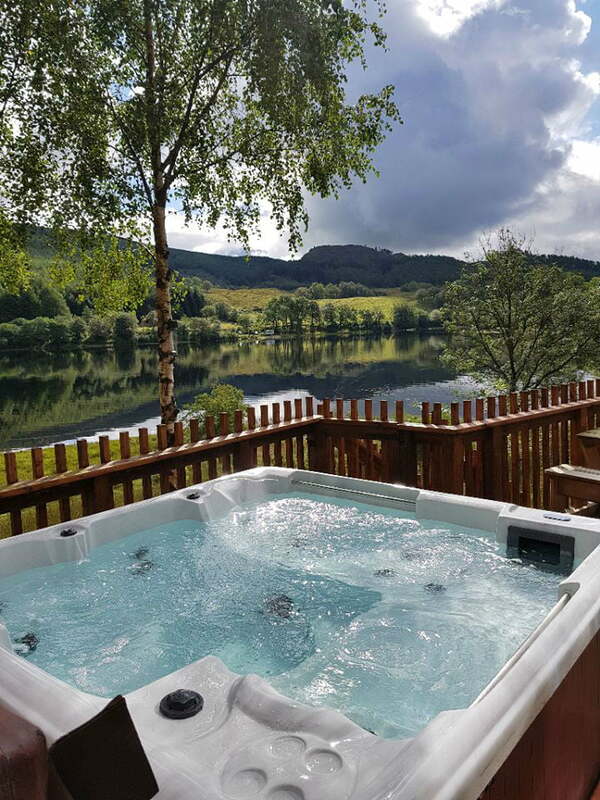 There are fluffy dressing gowns, spacious ensuite bathrooms, a log burning stove and an outdoor hot tub. In the summer, the large outside decking area is the place to be with its gas bbq and stunning forest views – the perfect location for al fresco dining. 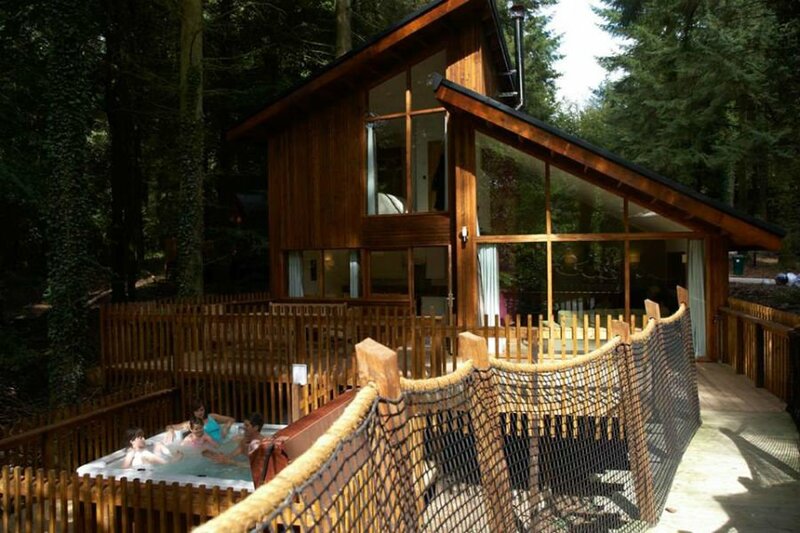 The Silver Birch cabins are more affordable and have a hot tub too with forest views. 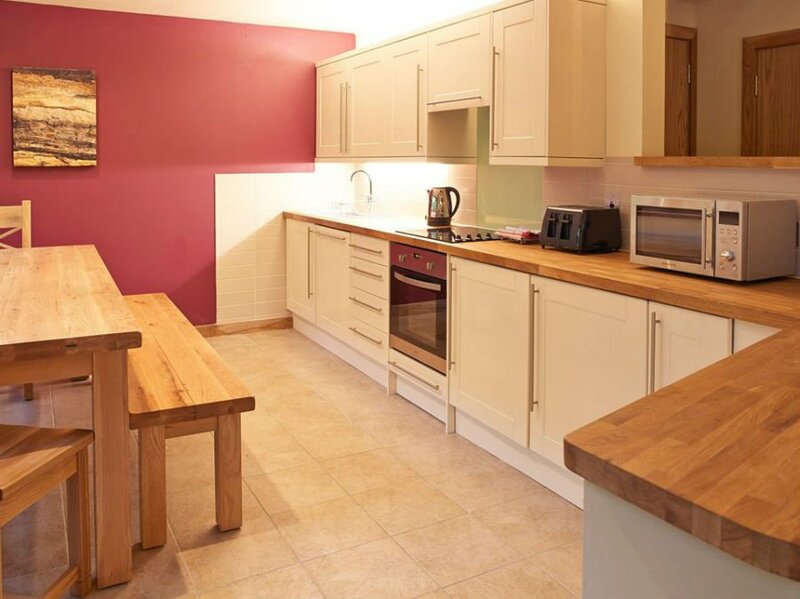 They come with a choice of either two or three bedrooms, including an ensuite master bedroom and all the top quality fittings you’d expect from a Forest Holiday cabin. The Copper Beech cabins are great value if you aren’t bothered about having a hot tub. They offer a touch of luxury with the style and comfort of the other cabins, modern open plan living area, outdoor decking area and flat screen TV. New for Summer 2018 is Forest Holiday’s new location of Beddgelert in Snowdonia, Wales. 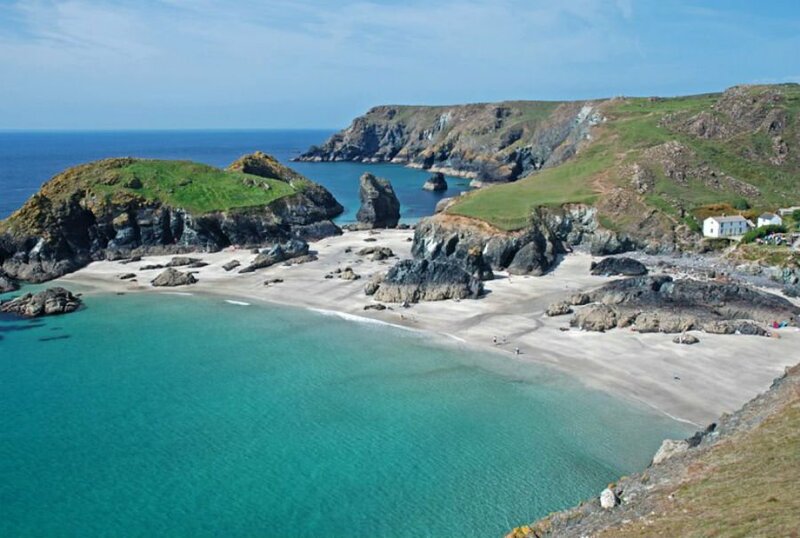 With just 16 luxury cabins dotted amongst the trees, this is the place to escape to if you want to spend time exploring Wales’ castles, railways and amazing beaches. 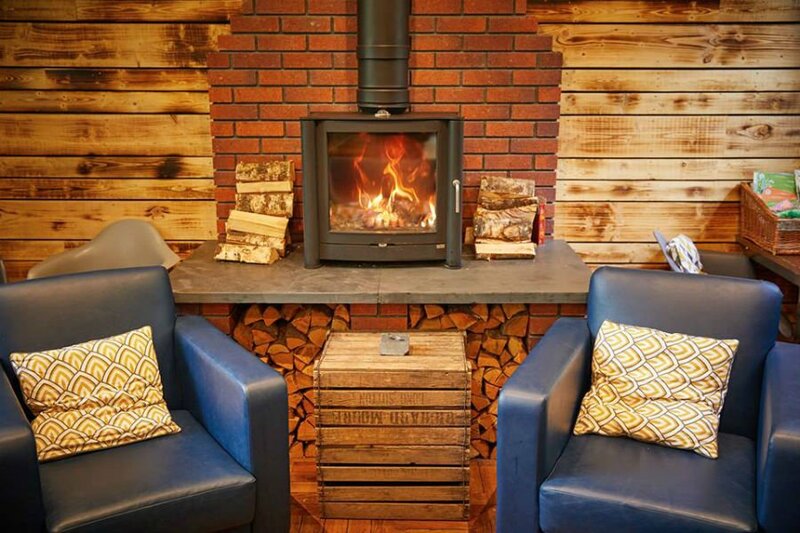 All the cabins at Beddgelert have been newly renovated, and offer a contemporary design and cosy home interiors – and they all have hot tubs too! At the heart of Beddgelert is the Forest Hub with a reception, shop and a little playground and wide open space for play and picnics. Imagine staying in a treehouse which you can get to via a wooden walkway between the trees! Treehouses are available at 6 Forest Holiday locations and are even have their own hot tubs. Based on the Golden Oak cabin designs, the Treehouses sleep up to 10 people and have an extra ensuite bedroom, spacious lounge and log burning stove. Treehouses are available at Deerpark in Cornwall, Blackwood Forest in Hampshire, Sherwood Forest in Nottinghamshire, Forest of Dean in Gloucestershire, Keldy in Yorkshire and Thorpe Forest in Norfolk. You can choose to do as much or as little as you like on a Forest Holiday, but additional activities are available to book at each Forest Holiday site. Some of the best activities for toddlers include a Teddy Bear’s Picnic with special sandwiches, treats and story time, a Spring Nature Trail through the forest, and birdhouse and bird feeder crafts. There are also seasonal activities at various times of the year such as Easter bunny painting and Easter wreath making. Toddlers can also learn how to be a Mini Forest Ranger on a Forest Holiday. 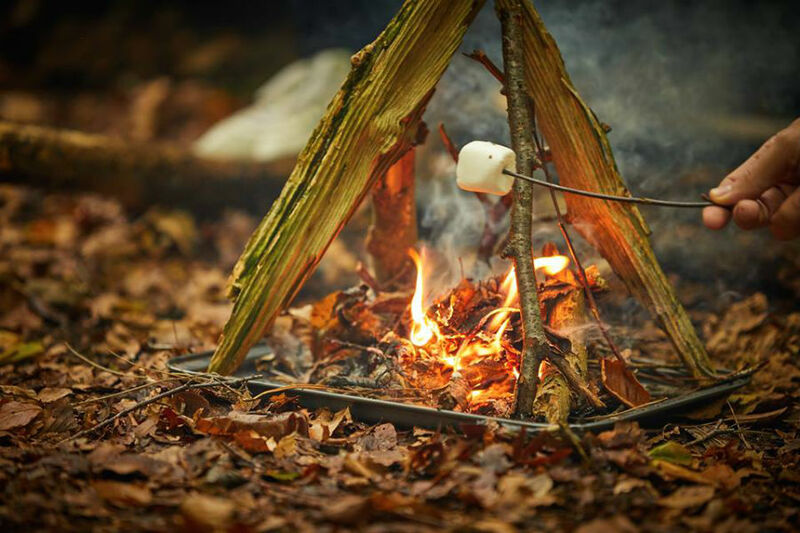 This includes joining the Forest Ranger on a short woodland walk and getting involved in activities such as Mini Beast hunting, learning about plants and trees, playing games and making forest crafts. At the end of the session, Mini Forest Rangers get their own certificate. 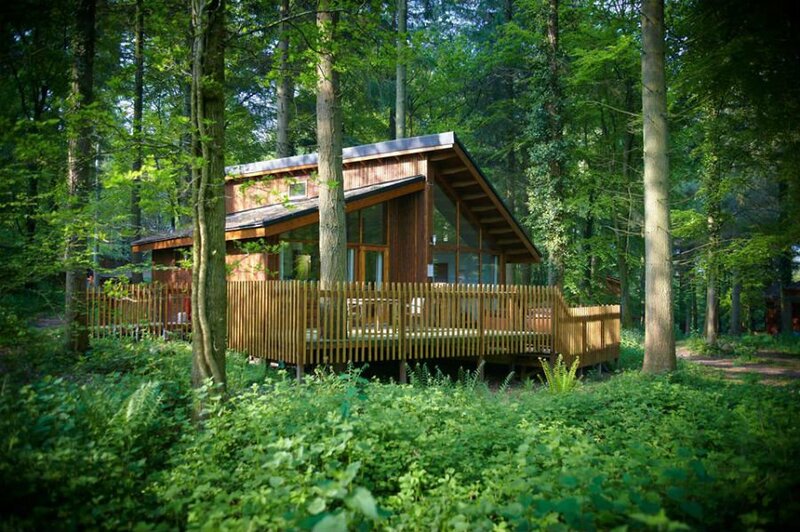 With woodland cabins sleeping up to 10 people in 4 bedrooms, a Forest Holiday is ideal for a 3G holiday with grandparents or groups of friends. And as there are so many of them dotted around the country, they are easy to get to for everyone! The forest is a great place for a toddler to ride a bike as there are no cars to deal with, and plenty of things to see and do along the way to keep them going. 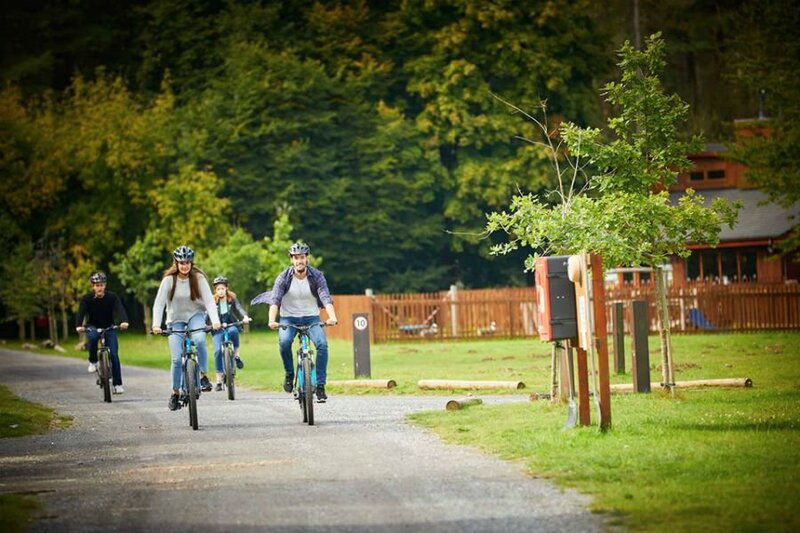 On a Forest Holiday you can either take your own bike, or hire them there when you get there – and then all you need to do is to take your picnic, grab a forest trail map and head off and explore. Child bikes, tag a longs, trailers and baby seats are also available to hire. Away from the forest, Forest Holidays are close to lots of excellent days out for toddlers. Flamingo Land (with its new Peter Rabbit playground) is an easy drive from Cropton and Keldy – as are the seaside towns of Scarborough and Whitby. 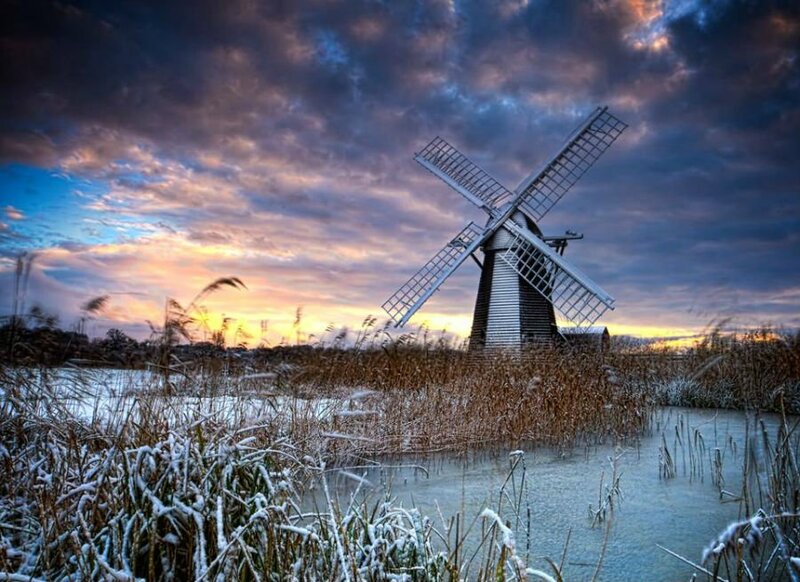 Peppa Pig Land is near to Blackwood Forest, Deerpark is 15 minutes from the Eden Project and Thorpe Forest is near to the Norfolk Broads. Check out the Forest Holidays website to see where you can visit on a Forest Holiday. 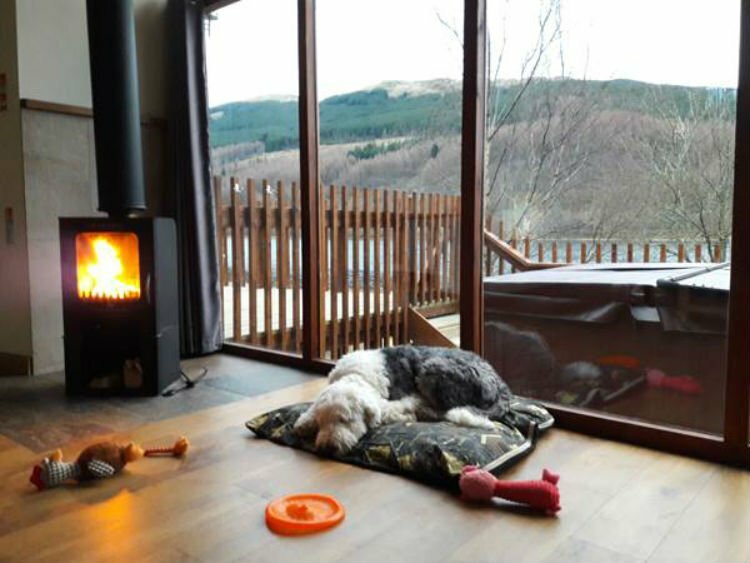 Each of the Forest Holiday locations have plenty of pet friendly cabins so you can bring your dog or pet on holiday with you too. There is plenty of room for their basket and toys and there are fantastic walks on your doorstep. Dogs are charged £10 per dog per night, and up to 4 dogs are allowed per cabin. 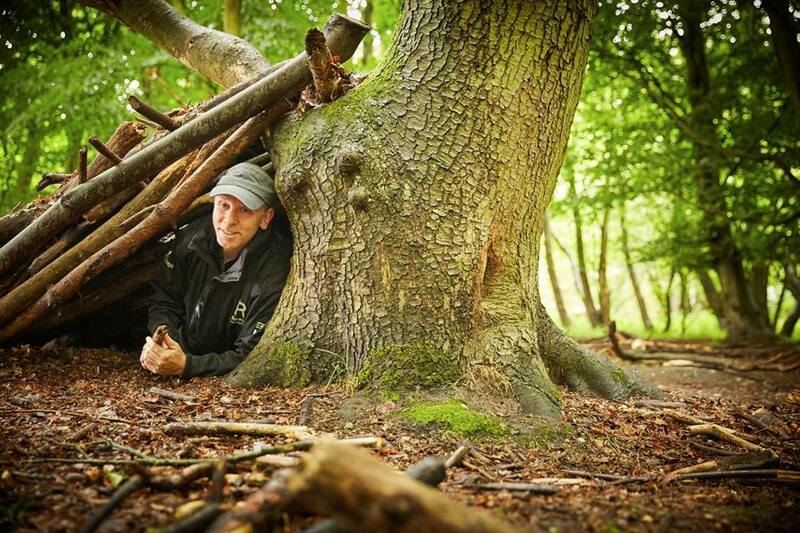 The Forest Retreat is the central hub of a Forest Holiday, and is the place where you can meet the Forest Rangers, book activities, pop into the Café or stock up on essentials at the onsite shop. The shop is bursting with fresh local produce and sells everything from baked bread to locally sourced meat and high quality frozen meals in case you don’t want to cook. Cots and highchairs are available to borrow from £5 per item per night. All you need to do is bring your own bedding! Our friends at Forest Holidays have given Kiddieholidays readers a 5% saving on all holidays. Enter KIDDIE to save 5% at Forest Holidays when you book and holiday by 31 December 2018. 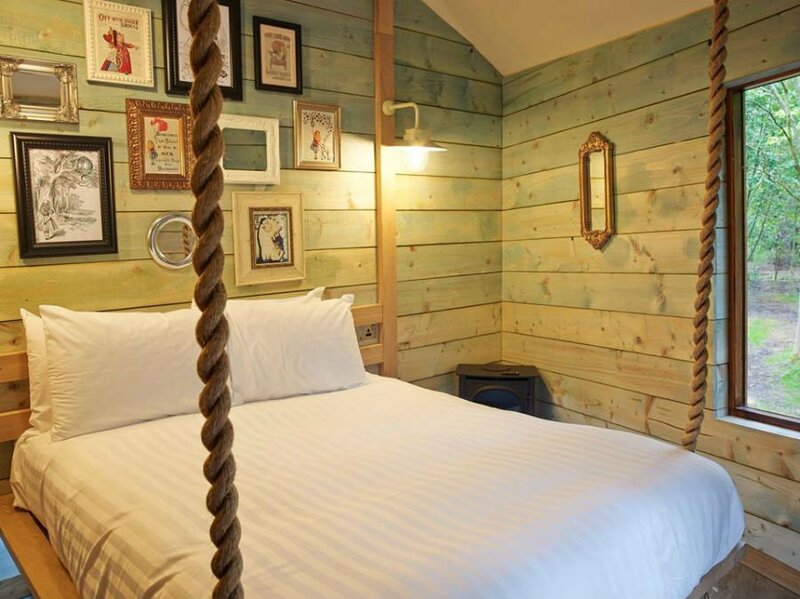 The 5% discount can be taken at any time of the year including school holidays and Bank holidays and can be taken across all of our cabin types, with the exception of hideaways and treehouses. 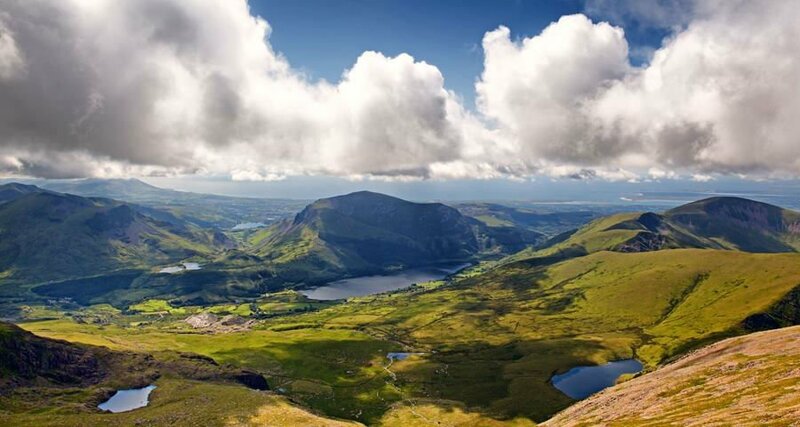 For more information on a Forest Holiday, or to discover more about the new Forest Holiday location of Beddgelert in Snowdonia, Wales click here.